The SHE Show is a high profile conference running alongside an exhibition featuring key suppliers and service providers in the fields of safety, health and environment. Now in its fourth year it is fast becoming one of the most successful events of its kind in the SHE arena. The 2012 programme will again be chaired by Gerard Forlin QC who will present the police and barrister’s approach to gross negligence in the workplace alongside Detective Inspector Jim Coy of North Wales Police. Ken Woodward OBE will discuss his workplace accident at Coca-Cola in which he lost his eyesight as well as his sense of taste and smell. This will be followed closely by the perspective of Bob Cameron the former Vice President Manufacturing of Coca-Cola Schweppes & Beverages who will talk about the repercussions of the accident both on a personal and professional level. Other speakers who will take to the stage throughout the day are: David Hitchcock talking about the ageing workforce; Nobby Clark looking at driving safely and the importance of vehicle safety checks and the legal implications. The event will draw to a close with an incredible story of teamwork, courage and self belief from Pete Goss MBE, the first Brit to complete the ‘Vendee Globe’ – a non-stop single-handed round-the-world yacht race. The focus of the day will be real practical solutions and you will be able to get help and advice on ways to achieve the future challenges that most SHE professionals face in this current climate. 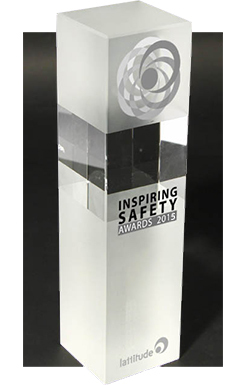 The 2012 event will also see the presentation of the new Inspiring Safety Awards presented by Ken Woodward OBE. The awards represent an exciting opportunity to acknowledge and thank the efforts of those who represent the future direction of the health and safety community. It will attract hundreds of visitors who need advice and guidance from the experts and who want to see new products and technologies and find out about the latest news on emerging legislation. Delegates are senior professionals across all industry sectors and The SHE Show is also an excellent opportunity to network with like-minded colleagues. The SHE Show 2012 is sponsored by Kellogg’s and Toyota Motor Manufacturing (UK) Ltd and Partnered by Lattitude, Safety Groups UK and EEF. Further information can be found by visiting www.thesheshow-northwest.com and stand space is from £1,050 plus VAT with delegate registration priced at £95 plus VAT.